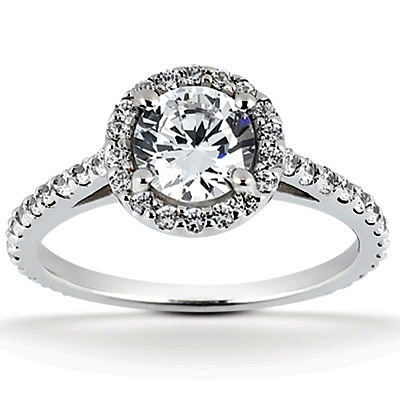 A 1 carat diamond solitaire is set in the middle of this quality halo diamond engagement ring and surrounded by 0.64 carats of surrounding and side white diamonds for a total of 1.64 carats of diamonds. Our diamonds are quality, H Color and SI Clarity stones. 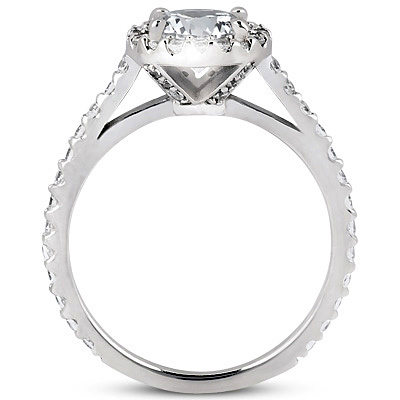 Also available with 0.50 carat or 0.75 carat center stone, shown below. Available in yellow gold, 18k gold, or platinum by request. 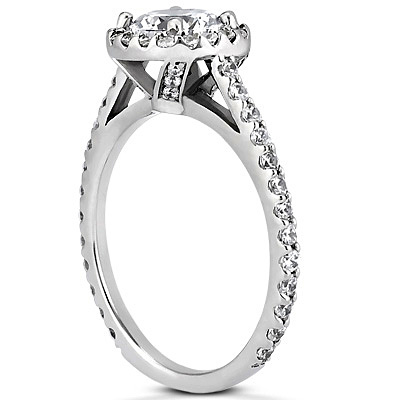 View our collection of quality halo engagement rings. Apples of Gold Jewelry guarantees the 1.64 Carat Halo Engagement Ring (1 Carat Center) to be of high quality and an authentic engagement ring with real diamonds, as described above.